A great way to see all the island highlights! Both our tour guides were friendly and informative, with great historical information as well as tips for fun places to go and eat during the rest of our stay. The group was small so there was no trouble hearing the guides. I would highly recommend this way to see the sights! Excellent guiding and cultural knowledge! For a quick trip, this tour allows you to see all the must see sights. 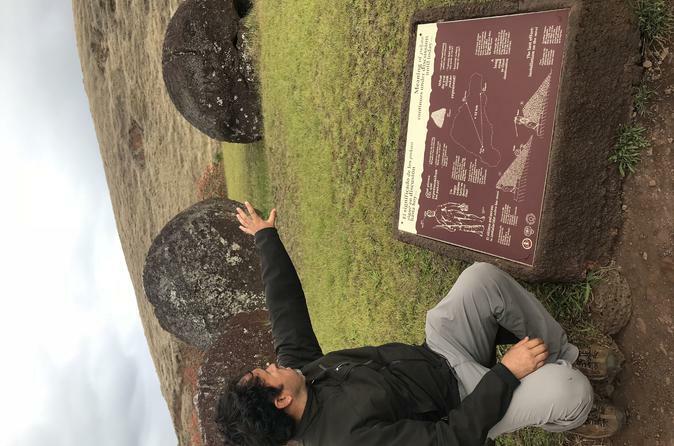 The guides were very good and knowledgeable about the history and current theories on the Moai and Birdman eras. We only had a short time on the island, so this was perfect, and gives us ideals of more to do on our next opportunity to travel to Easter Island. This was a fantastic two days. Our guide Christina was fabulous and patient and took the care to translate for my father and I.. We were the only english speakers with the group primarily spanish speaking. The tour company that operated these tours for us was Aku Aku. Our guides spoke fairly good English, and we felt that the tours gave us a very good overview of the whole island. I do think we had moai overload on the full-day tour, but YMMV. 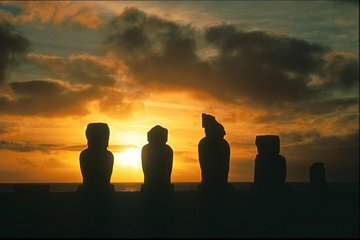 As a trio, these tours were comprehensive in terms of Rapa Nui history. Be sure to bring lots of water and sunblock when you do these tours--there aren't many stops for you to buy them along the way. The Ahu Akivi half day tour was pretty average with the guide being more interested in chatting with the driver than providing the information about the sites we were visiting. The other two tours were much better because we had a different tour guide and she was pretty good. Also, the voucher stated that the name of the local tour operator, however, the services were provided by some other local tour operator, whose name now escapes me. Have emailed you regarding this on my return..but as you can imagine Easter Island isn't a place you can go every year so I was relying on a good service.